NEW YORK (WABC) -- In the wake of the large-scale protests displayed last weekend during NFL games, a majority of league sponsors have been restrained on the issue. However across social media, there is a trend developing with the hashtags #BoycottNFLSponsors and #PunchThemInTheWallet. According to ESP Properties Sponsorship Report, the NFL brought in $1.25 billion from its corporate partners in 2016. The league is comprised of 32 teams. The catalog of the league's corporate backers include some of the biggest global companies: Microsoft Corporation, Bose, PepsiCo Inc., Ford Motor Company, Nike Incorporated, and Under Armour, just to mention a few. 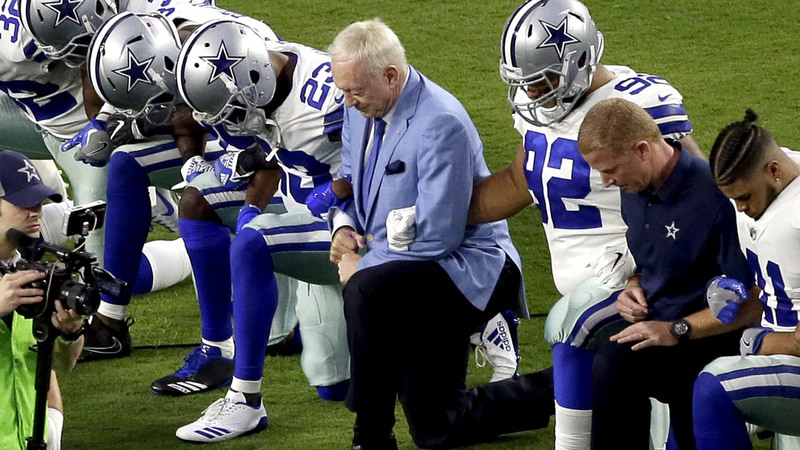 In the aftermath of Sunday's protest, the league's partners neither support President Donald Trump's criticism nor the players who demonstrated during the national anthem. The question now is, will consumers follow suit and begin a boycott of these companies? In a report from Bloomberg Politics, executive vice president of Baker Street Advertising Bob Dorfman said he thinks the sponsors will take a hushed approach. Their fear would be to distance them from their customers. He said it seems that any statement made by corporations could be interpreted as disrespectful to certain clientele. Business Insider reported that some companies like Papa John's feel that they should have admiration for both sides. Those who've performed military service and those who stress unfairness. Nike executives also weighed in with their thoughts, saying that they embrace athletes and their declaration to issues as it relates to all communities. A report in the Wall Street Journal said that DirecTV will refund subscribers who are opposed of the protest. DirecTV offers the NFL Sunday Ticket package, and allows subscribers to view out-of-market games to follow their favorite teams and players. The fallout from this is far from over, and will be a hot topic issue in the coming weeks.